Weekly Photo Challenge: Grand | Oh, the Places We See . . . 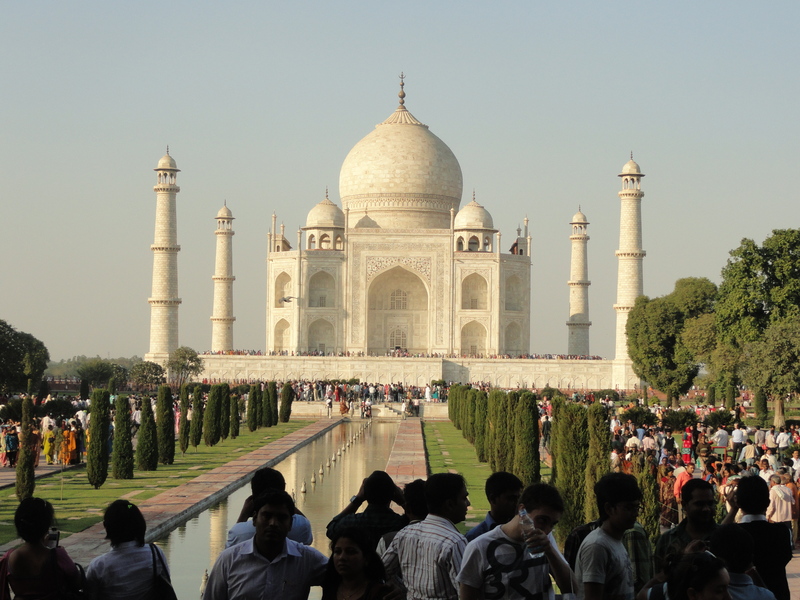 Nothing we saw on our trip to India was more grand than the grandest site of all — the Taj Mahal! Perhaps it was the anticipation as people funneled themselves through the opening in anticipation of that first view that could only be seen on tiptoe. Or perhaps it was not the massive structure that was so grand as it was the sum of its tiniest parts, the details that made us all wonder how this was conceived, built, and perfected. 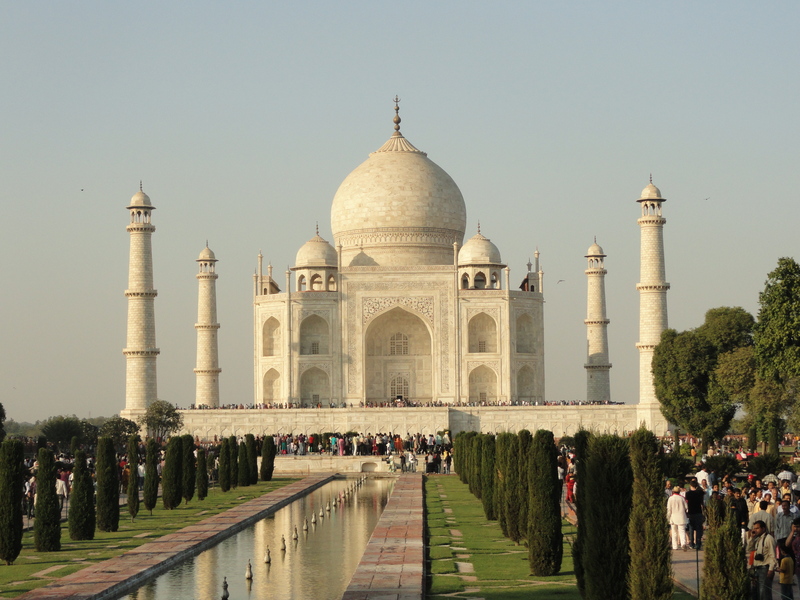 Whatever it was and whatever it is, the grandness of the Taj draws thousands of people per day from all over the world to see it for themselves. 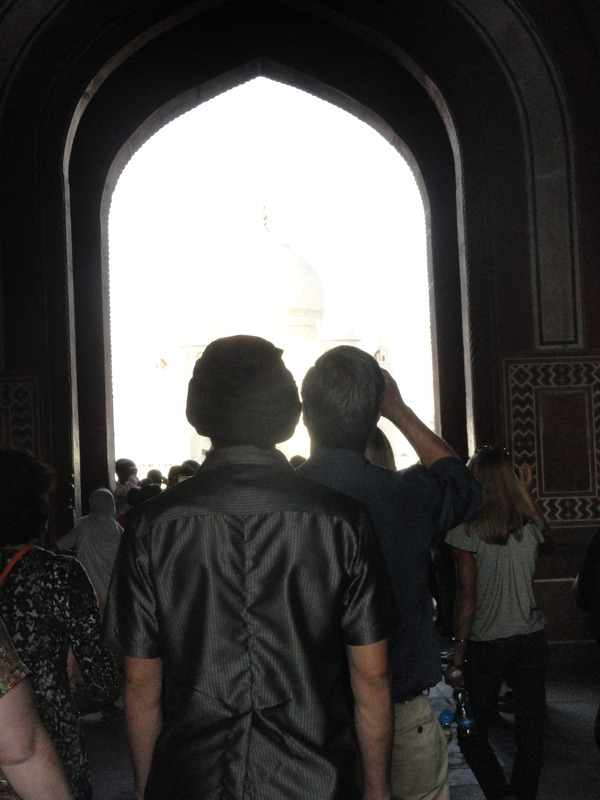 Finally making it through the entrance to take first pictures of the Taj Mahal! After all, it’s simply grand! For more interpretations of the WordPress Weekly Photo Challenge: Grand, click here. 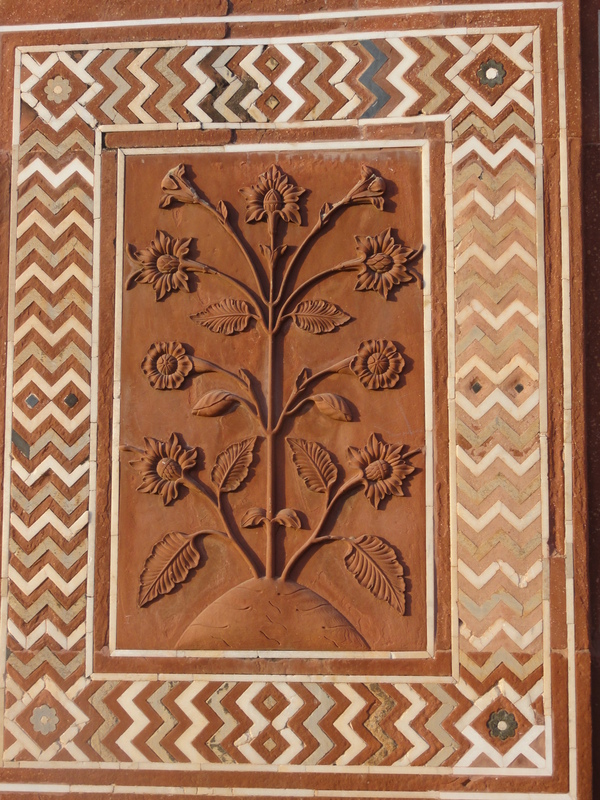 This entry was posted in Destination, India, Travel, Weekly Photo Challenge and tagged India, postaday, Taj Mahal. Bookmark the permalink. one of the 7 wonder , Shah Jahan built it for Mumtaz 🙂 wonderful photos . Thanks for the comment. It was a great site to see, and I wish I could go back. This is definitely a beautiful place to go and visit! Great photos! Would love to have a souvenir like that! 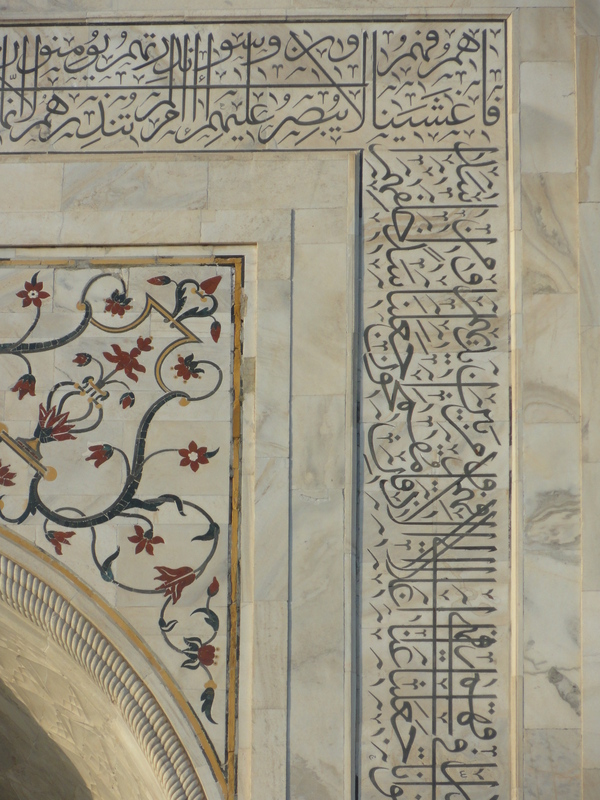 The detail in that building is something to behold, even if I have no idea what it says or means. I know beauty when I see it, though! great photos! It is breath taking isn’t it? It really is amazing. I loved the details even if I couldn’t read the writing. What a fabulous site! Thanks for commenting! I also think it must a religious pilgrimage for thousands each year. It was packed, but people watching is interesting, too! Thanks for commenting! I don’t have any statistics, but I think the guide told us there could be 30,000 most days. 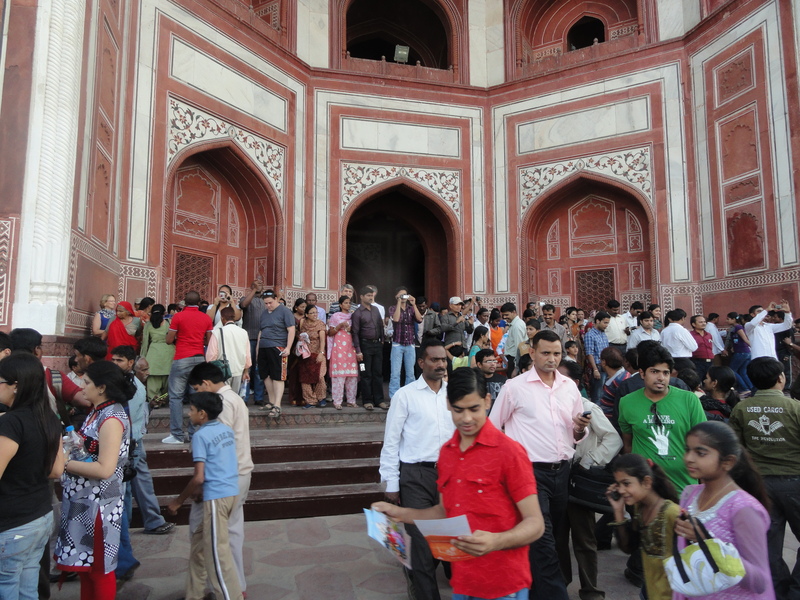 It was packed everywhere and difficult to get pictures. But still, what a great experience! It was a great day for us, and we’d do it again if we could! Thanks for reading and commenting! Thanks so much for the comment. The whole experience was grand — the anticipation was high, but the experience was even higher! Grand indeed! Love the choice, Rusha. Thanks so much. I’d love to go back! Oh, my gosh!!! I can’t believe you’ve been so lucky to have been there so many times! Thanks for commenting! It really is. Thanks for reading & commenting! What a great choice for Grand! Thanks! My heart was pounding right before I went through the opening and saw it! Thanks for reading & commenting!